These options will help you to hide admin bar or its items on the front end pages when WordPress user is logged in. When a user is logged in, he can see admin bar even on site pages, not just admin panel. This option will help you to remove admin bar from site pages when a user is logged in to WordPress. If this option is checked, WordPress admin bar will show up on the site pages even for logged out users! It will be publically available on your site's pages. Admin bar customizations created by Cusmin like custom colors, icons and admin bar items, should also work on the public admin bar. Please note that admin bar will not have the default WordPress admin bar items like "Site name", "New+", "Updates" or current user information on the right. Your custom admin bar items should be visible. Some third party plugins like BuddyPress can add theirs admin bar items here, so they could also appear on the public admin bar. Please make sure that the currently selected configuration is also set as public facing configuration. Solution 1: Check theme's function.php and search for "show_admin_bar" filter. The theme could be disabling it. Try to comment it out and see if the problem is solved. Solution 2: Try disabling all other plugins. Some plugins could add extra options for managing admin bar on front-end. Cusmin custom styles will be applied correctly after that. This will hide search field in admin bar on the front-end. This option will appear only if BuddyPress plugin is installed. 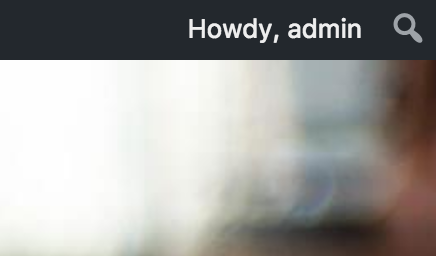 In its settings, it is possible to set admin bar to show up publicly. When that option is active, BuddyPress will create a login button that will show up in the admin bar. 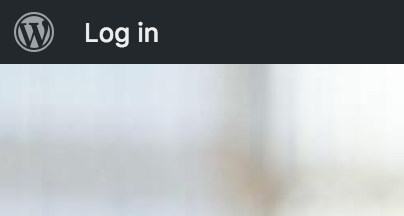 With this Cusmin option, we can hide that Log In button. Other options may also appear here depending on installed plugins that add their admin bar items on front admin bar.